Joseph Cullen was a prolific founder–he founded four fraternal organizations during his lifetime, one of them being the Modern Woodmen of America (MWA). 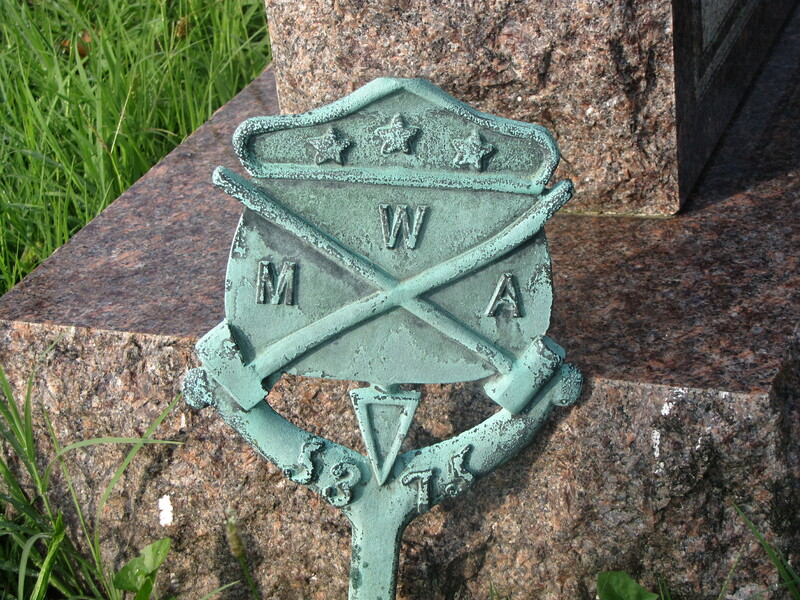 MWA was founded on on January 5, 1883. Root himself had been a member of several organizations, including the Odd Fellows, but he wanted to create an organization that was beneficial. He wanted to make sure that after the death of the breadwinner that the family would be protected through a death benefit payout. “During a Sunday sermon in Lyons, Iowa, Root heard the pastor tell a parable about the good that came from woodmen clearing away the forest to build homes, communities, and security for their families. He adopted the term Woodmen.” The influence of that sermon can also been seen in the metal marker above that has the symbols of the organization – axe, beetle and wedge – symbolizing industry, power and progress – superimposed on face of a log that has been cut in half. 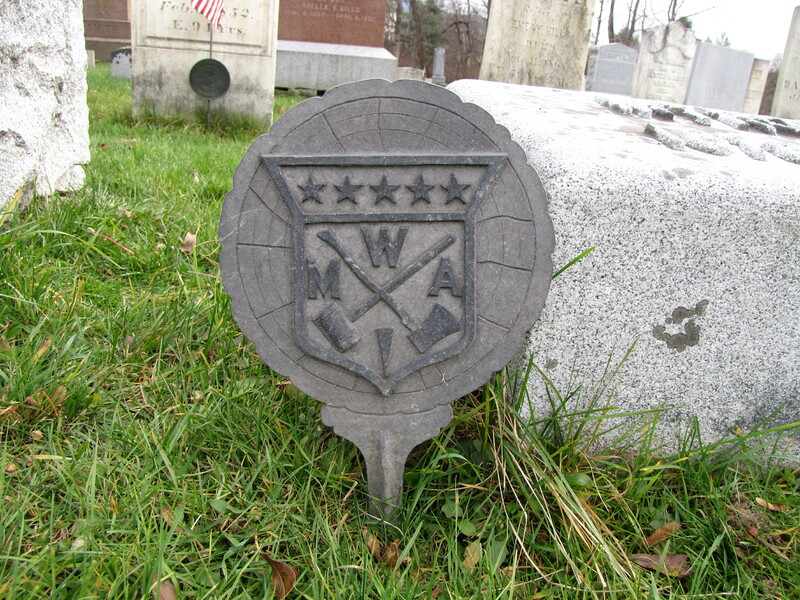 The marker below has the same three symbols but on the face of a shield.